Welcome to Seafarer! Emerald Coast by Owner is proud to be your premiere vacation rental service for this beautiful condominium complex! 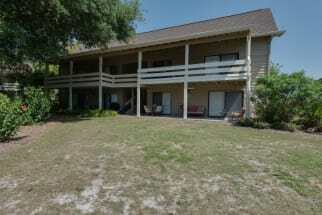 This relaxing three-story complex is located right on the beach in the heart of Destin, Florida! If you’re not a fan of the sand and saltwater, be sure to hangout at our complex pool, with it’s elegant design and large structure! When you stay here, it’s so easy to make it the best vacation ever. You’ve got one of the top locations in Destin when it comes to activities and attractions and beautiful scenery! Whether you’re looking to relax or have fun, it’s all possible here. The complex is self is pretty calm and relaxing, but outside all around the town is a blast! Try parasailing, deep sea fishing, Big Kahuna’s Water Park, Henderson State Park, paddle boarding, boat tourism and so much more! When it comes to food down here, you won’t be disappointed! There’s a number of beachfront spots serving delicious seafood and traditional food in a fun scene for everyone! A few beachfront places are Pompano Joe’s and The Crab Trap! However there’s one small spot right across the street a ways down from Pompano Joe’s called Kenny D’s! This is a small food joint with some of the best food you’ll have the pleasure of trying! Make this year the best trip yet! Emerald Coast by Owner is your premier source for booking your dream vacation rental. Click here now and view our Seafarer property listings! When you book with Emerald Coast by Owner, we make it easy for you to choose where, when, and what you want to do on your trip. Contact us with any questions!